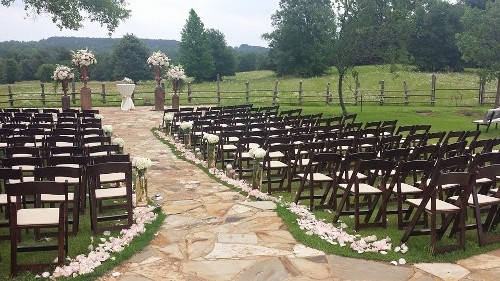 The wood folding chairs are lightweight, stackable and are suitable for all occasions (wedding, graduation, birthday, anniversary, church gatherings, rental businesses and social event). The wood folding chair is also perfect seating for any bar, restaurant, banquet hall or nightclub. You can even use the wood folding chairs private home use in your kitchen, dining or patio! These wood folding chairs are durable commercial quality hardwood with an elegant curved back for utmost comfort. 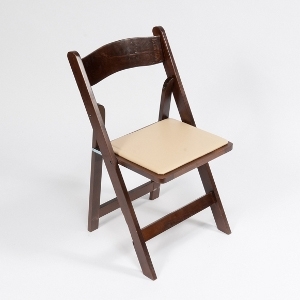 These great wood folding chairs have heavy-duty vinyl seat cushions that are replaceable.